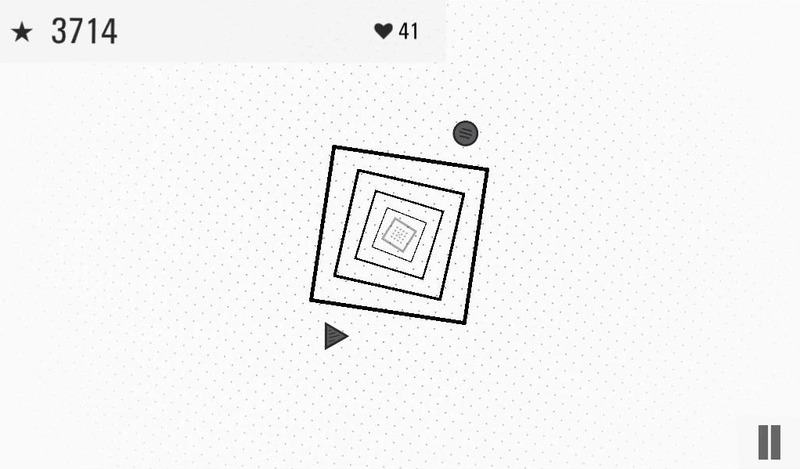 With its monochromatic palette and tinkly music, you might confuse Shapes & Sound for a "chill" game. 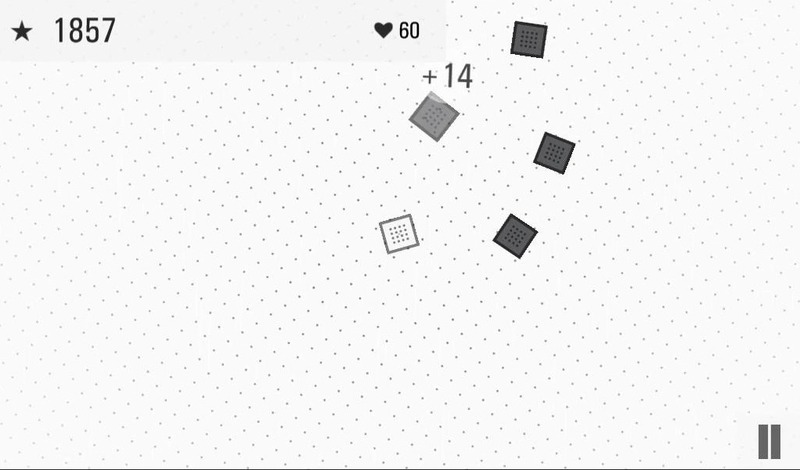 Not so: it's inspired by the twitchy vector shooters of yore, like Asteroids and Tempest. But while those titles offered no more complexity than a rising difficulty curve, Shapes & Sound combines some simple yet appealing graphics with deep gameplay. 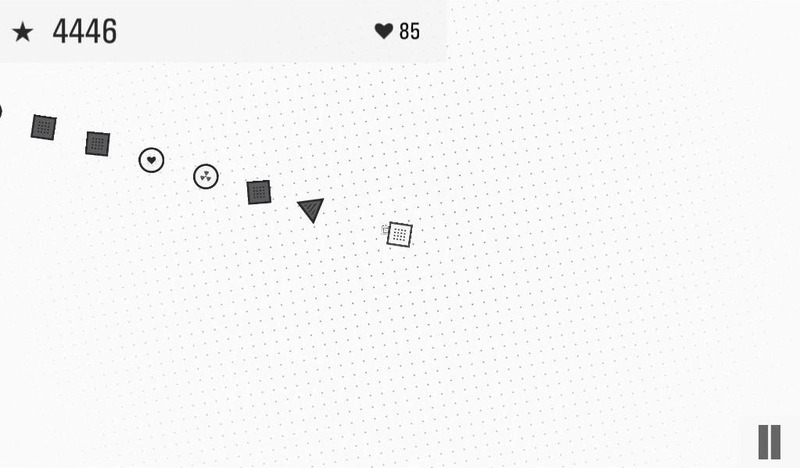 The core of the game is simple: tap around your shape to shoot at those flying towards you. But be selective, because corresponding shapes (of any size) don't hurt you. 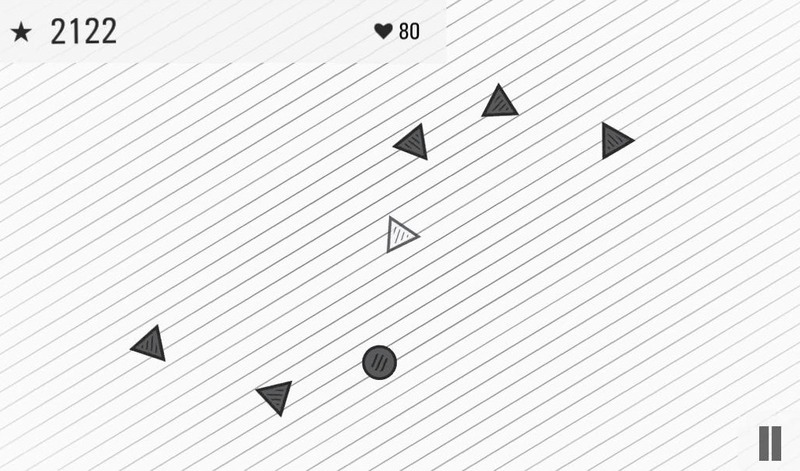 When you've absorbed enough projectiles, you can unleash a special attack that will usually clear the screen. There are also healing and explosive projectiles that can come in any shape. 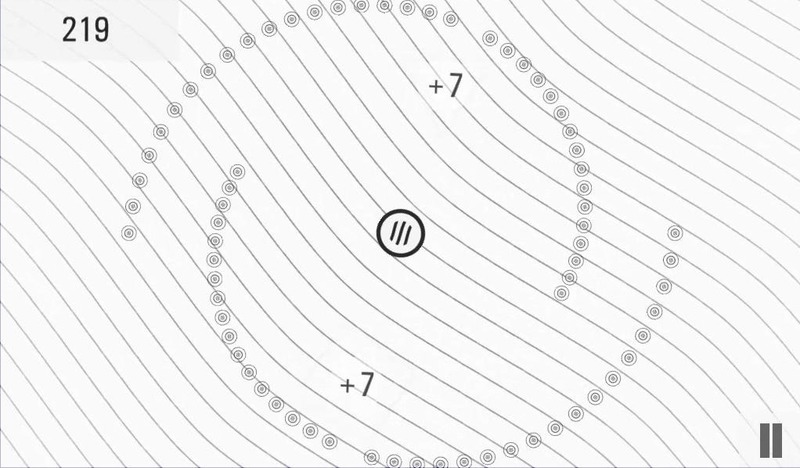 Here's where the strategy comes in: at any point, you can switch between the circle, triangle and square shapes with a swipe, allowing you to selectively shoot or absorb shapes as they appear. The mechanic is not unlike Ikaruga. Theoretically, you could go through the entire game without shooting anything. 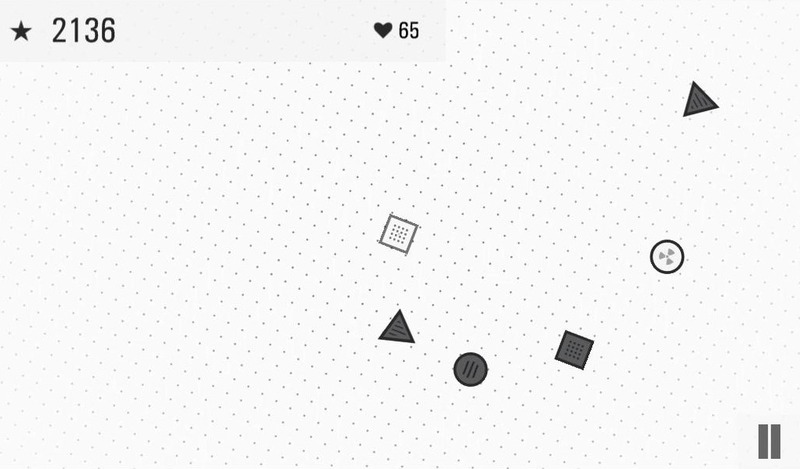 Shapes & Sound: TheShapeShooter is the first game from ARRG Studios, and it's available for a single buck. Remember: every time you buy a paid game with no in-app purchases, an indie developer gets its wings. Or at least a selection from the fast food value menu.